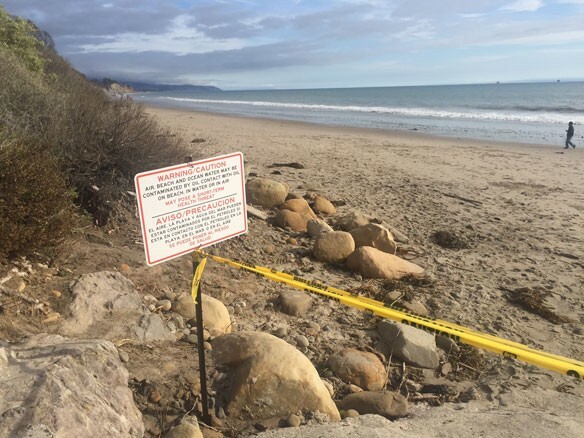 Following a year marked by beach closures and health warnings at Summerlamd Beach – a Santa Barbara County beach sullied by leaking crude oil- State Senator Hannah-Beth Jackson (D-Santa Barbara) has just introduced a bill to monitor and cap California’s old, abandoned and leaking oil wells. Senate Bill 900, the Coast Oil Well Cleanup Act, would require that the California State Lands Commission plug very old “orphaned” oil wells in California waters when the original oil company that operated the well is out of business and cannot be held responsible. It will also require an in- depth study of similarly abandoned and unused oil wells along the California coast.